They have no business living amongst civilized men... they have no business living in our country...and one of them would have continued on with his terrorist attack if he had not crashed into a school bus. And saying how "very pleased" he was with his actions proves that Sayfullo Habibullaevic Saipov is indeed one of the very worst of them. 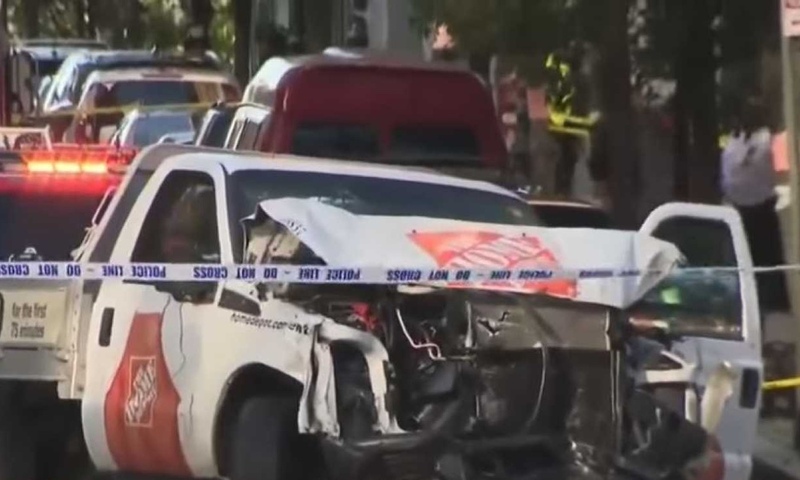 By now we all know about the terrorist attack that took place in New York City at around 3:00pm this past Halloween afternoon when ISIS loyalist Sayfullo Saipov deliberately slammed a Home Depot rented truck into innocent bicyclists, walkers, and a school bus. And this attack...not far from Ground Zero...saw this jihadi killing eight and wounding eleven others...some very seriously. And we know he belonged to the Omar mosque in Paterson, New Jersey...an area with a large muslim population...with said mosque being on the feds 'watch list' since 2005 and a safe bet as to where he was radicalized...and that Saipov, his wife (Uzbek national) Nozima Odilova and their three children lived in an apartment complex right behind this mosque yet no member of the mosque will admit to having known him...quite odd I'd say. Showing no remorse whatsoever while recovering in his hospital room from police officer Ryan Nash's bullet wound he so rightfully deserved...Saipov, who waived his rights to remain silent, happily asked those questioning him if he could hang an ISIS flag in his hospital room as he proudly chatted about his actions and how he wished he could have killed more...how even after crashing into the school bus he got out of his rental truck with two fake guns in hand...a paintball and a pellet gun...and shouted, “allahu akbar”..."God is Great," in Arabic...the very calling card of all today's jihadis. Admitting that he was “inspired” by bloody ISIS videos of beheadings and other atrocities... in fact one of the two cell phones recovered on scene contained over 90 ISIS videos and thousands of ISIS propaganda photos...and that he was especially “inspired” by a video where ISIS leader Abu Bakr al-Baghdadi questioned what muslims in the U.S. and worldwide were doing to respond to the killing of muslims in Iraq...Saipov planned this attack for about a year. Deciding to use a truck just two months ago based upon the success of truck attacks in Europe, Saipov did a trial run of the route and maneuvers he would use the week before the actual attack occurred. And he also admitted that he planned this attack specifically for Halloween because he knew more people would be out and about on the streets. Following closely instructions on how to successfully pull off such an attack as per words in 'Rumiyah,' the ISIS magazine...words instructing “independent actors” as they were called...on how to maximize damage and casualties by using “unorthodox weapons” like trucks... Saipov also made sure that ISIS got the required credit for his attack by writing and leaving behind his version of well-known ISIS phrases like "The Islamic State will remain!" and “I am a soldier of the Islamic State!.” Writing in both Arabic and English, Saipov's note, found about 10 feet from the rented truck, read, "No God but God and Muhammad is his Prophet...Islamic Supplication. It will endure.” And know that “It will endure” is a very commonly used ISIS loyalty phrase. And while 29-year old Sayfullo Saipov was not on the so-called 'radar of the authorities' when he was allowed into the U.S., Saipov was questioned in 2015 by an agent with Homeland Security Investigations because he was linked to two men who drew the attention of federal agents for having overstayed their tourist visas, but there was never any proof to open a specific case file on him. Well now the feds have their case against Saipov as he is being charged by U.S. federal prosecutors in the Southern District Court of New York with a one-count complaint stating that he provided material support to a terrorist group, with another one-count complaint of committing violence and destruction of a motor vehicle, and with additional complaints regarding the murders of eight people pending as I write this. And while New York State does not have the death penalty, Saipov being charged in a federal court...not in a state or civilian court...means he can face capital punishment under federal laws...capital punishment meaning the death penalty...which I might add he so rightfully deserves. 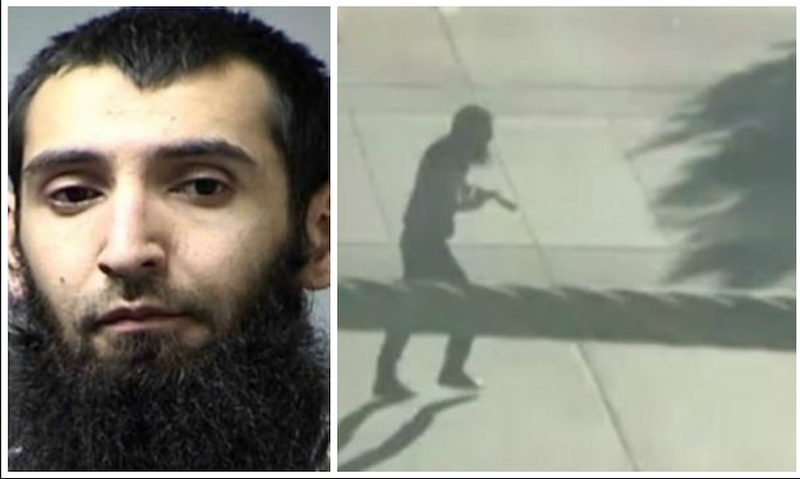 And while Saipov's court-appointed attorney David Patton said to reporters after the complaints were filed that, “I hope, given all of the attention in this case and all of the attention that it’s sure to continue to receive, that everyone lets the judicial process play out,” and then adding that, “I promise you that how we treat Mr. Saipov in this judicial process will say a lot more about us than it will say about him,” what Attorney Patton forgets is the now very questionable circumstances of how this jihadi...this muslim terrorist...came into our country and especially why. Arriving legally in the U.S. in 2010 from Tashkent, Uzbekistan...arriving during Barack HUSSEIN Obama's first term in office when muslims were flooding into our country via the welcome mat Obama laid out for them...and doing so by way of the State Department's Diversity Immigrant Visas Program...mistakenly called by many the Diversity Visa Lottery Program because individuals are selected through a random, computer-generated lottery... then 21-year old Sayfullo Saipov was the recipient of one of but 50,000 immigrant visas available annually through a program that draws solely from randomly selected individuals who are from countries with historically low rates of immigration to the U.S. In other words, persons from country's not highly vetted no matter those countries being well-known terrorist havens and recruiting centers. applicants must have a clean criminal record, have a high school diploma or its equivalent, or have at least two years of work experience in a field that requires at least two years of training and/or experience to perform and to have done so within the last five years, in order to qualify for entry into our country. NO looking into family allegiances or dynamics, terrorist ties, or political groups belonged to...just allowing them in with but a few innocuous questions asked...allowing them in and affording them the opportunity to secure a 'green card'...a card which gives them permanent legal residency in a country so unlike the cesspools of countries they came from. 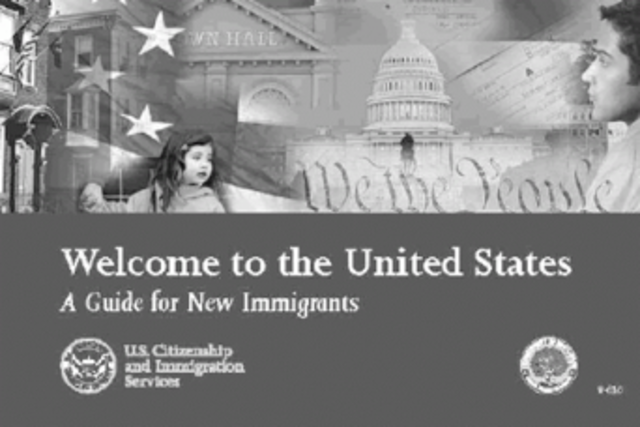 Derived from the Immigration and Nationality Act of 1990, this bill was signed into law by then President George H.W. Bush in November of that year. And no matter Chuck Schumer's whining to the contrary it was indeed he who as one of the bill's sponsors...he introduced the section for diversity immigration into said bill...a bill that saw 24 other Democrats and seven Republicans jumping on Schumer's bandwagon allowing the bill to pass both the House and the Senate in a show of bipartisanship. Going into affect in 1995, this bill has allowed the diversity nonsense to become the nightmare it is today, including with Schumer now saying that not only is immigration “good for America” but that it is President Trump alone who is “politizing and dividing the country” over the issue of diversity. And to Schumer, who chooses to forget Obama's divisive hand in all this, I say I personally have no problem with immigration if that immigration is legal and is from westernized countries alone as immigration from muslim cesspools of countries...countries not compatible with the fabric of our American society...have proven to be nothing but a torn in America's side. “We have to get much tougher, much smarter and less politically correct...I am going to ask Congress to immediately initiate work to get rid of this program," were President Trump's words not only to Schumer but words said as he rightfully insisted that this diversity program be replaced by a merit-based program alone. And know that Republicans have long criticized this program as being a threat to national security because as it stands now countries that sponsor terrorism can still see their citizens applying for these diversity visas. 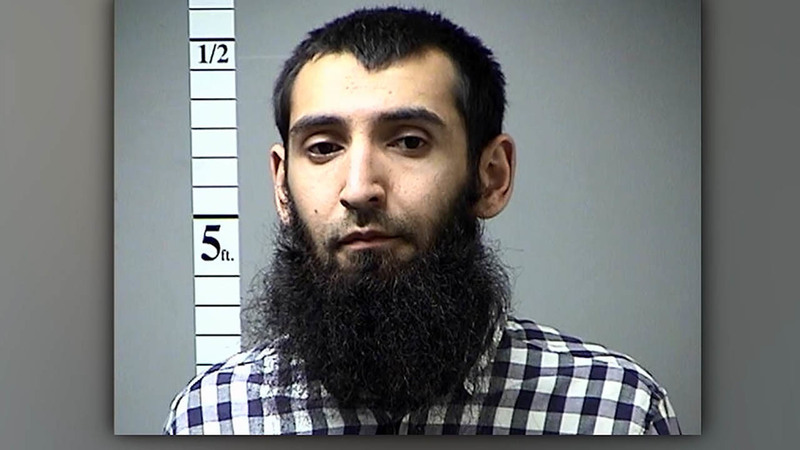 And such was the case with Uzbekistans's Sayfullo Habibullaevic Saipov who arrived under this program...a program that not only allowed him to enter from a country that according to the Pew Research Center is 96.7% islamic...a country still on the okayed to enter list for 2018 and 2019...but also allowed Saipov under the still in affect monstrosity know as the Chain Migration Program to bring about 23 of his islamic 'supposed' family members into our country as well. 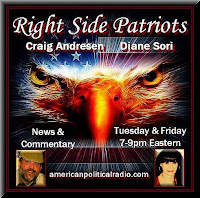 Now here is something interesting...if this diversity program had not been put into affect back in 1995 would the 3000 Americans lost on 9/11 still be alive today... would those murdered in Boston in April 2013 still be alive today...and would those murdered in San Berndino in December 2015 also still be alive today as well...just something to think about...just something to consider. So while investigators are still not ruling out the possibility that other people knew about Saipov's plans even though they did not take part in the actual attack itself, uber liberal NYC Mayor Bill DeBlasio is telling New Yorkers to go about their lives as normal, that there is no active additional terrorist threats to the city, that this was a simple lone wolf attack. But this being a lone wolf attack...I think not...for wolves are known to run and hunt in packs...the larger the pack the more blood shed. And such is the case especially concerning 'soldiers of ISIS'...the very three words both ISIS and Saipov describes himself as...which makes him an enemy combatant. More on that in a bit. 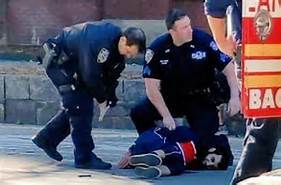 Now something DeBlasio chooses to ignore, especially concerning wolves, is that Deputy New York Police Commissioner for Intelligence, John Miller, stated that Sayfullo Saipov probably will be shown to "have some connectivity to subjects" who are or were previously under investigation...as in others helped him plan this attack...as in other lone wolves are complicit and will eventually be charged as well. And so sure is Miller of this that the NYPD thought it wise to add more sniper teams, bomb-sniffing dogs, helicopters, sand-truck barricades and other security measures not only along last Sunday's New York Marathon route, but in the city's subways and other key sites as well...as a precaution just in case the marathon turned into Boston revisited. 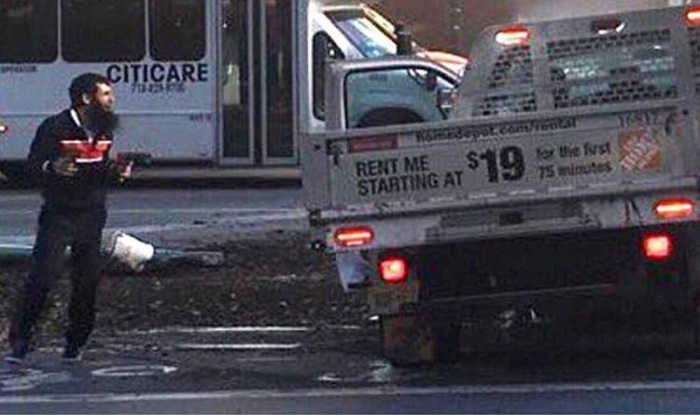 So while DeBlasio basically downplays the seriousness of the muslim infiltration into the NY-NJ metropolitan area and while he insists there are no additional threats...that all should go about their daily routines...know that we are losing this war...a war against islam...because first, we cannot even name the enemy for fear of offending them and second, we are fighting defensively not offensively as we should be. We must be aggressive against all those wishing us dead because the enemy we fight...the enemy that is islam carried out by those called jihadis...is defined by the very savagery laid out in the qur'an. Not waiting for us to identify and then launch offensives attacks against individual soldiers of islam...of ISIS... jihadis identify, strategize, and carry out attack after attack against we infidels and now do so in our own cities using the aforementioned “unorthodox weapons” like trucks to do so. And what do we do...we accommodate their actions by changing how we live our lives while affording them due process under our Constitution's laws. 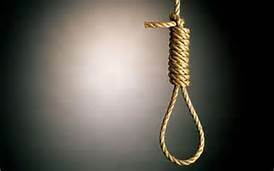 Forgetting that the laws of civilized men...that the law as laid down in our Constitution...do not address those who believe their heavenly reward is guaranteed them upon their death with jihadis all too happy to die for allah and take as many of us with them when they do so. And our defenses, like DeBlasio's now being put in place sidewalk barricades, will not now or ever stop savages from doing what they believe they are commanded and destined to do for the only way to stop them is to make an example of those doing us harm. And that example can start with Sayfullo Habibullaevic Saipov. 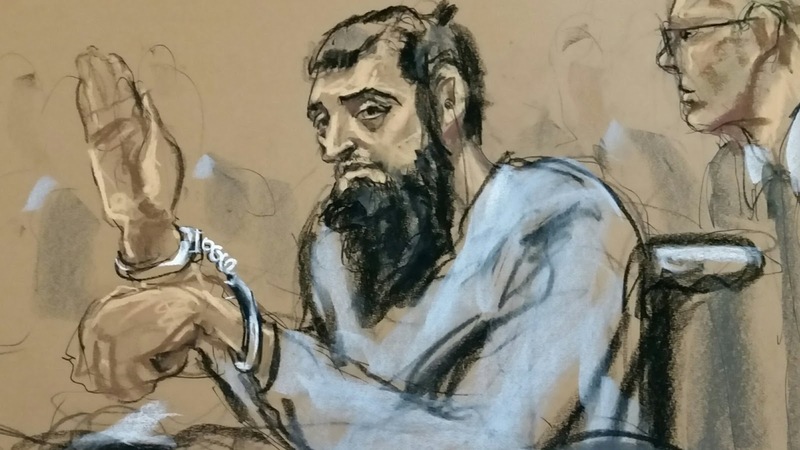 Being charged under our laws means nothing to him...but being that Saipov came here legally and has a 'green card' making him a permanent resident we can...if we had the fortitude and courage to do so...actually charge him with treason against America. How so...according to the islamic doctrine of 'Loyalty and Enmity,' muslims must be loyal to islam and fellow muslims above all else...meaning Saipov put the call to jihad before not only the country that took him in, but before the laws of said country, and even before his home country. But if instead of federal court we tried this self-professed enemy combatant in a military court...after all Saipov called himself a 'soldier of ISIS' and proudly admitted his guilt...a court where he most likely would be officially found guilty...and if we would carry out the death penalty for treason post-haste...remember 'Loyalty and Enmity'... with no religious tenets or preparations afforded him, no islamic burial allowed him...burning his body to ash thus denying him paradise for to followers of islam cremation is desecration...only then would a powerful message be sent to those wishing to do us harm. And if we would do this with all jihadis captured on American soil...and sadly most to date have been either 'green card' holders or citizens which allows for charges of treason to be leveled against them as they are enemies within...soon the islamists would understand that their game of holy war has now changed as we infidels take the offensive away from them and do so by using their own qur'anic laws against them...and that is something that will hurt these sorts more than any of our laws or standard punishments could ever do. So as the eight innocents murdereded are laid to rest know that we can stop this from happening again by simply changing the rules of the game...fight fire with fire along with stopping all immigration from countries that hate us...and the liberal, kumbaya, 'why can't we all get along' sorts be damned.